A little touch of the Wild West to make your fireplace a show-stopper! 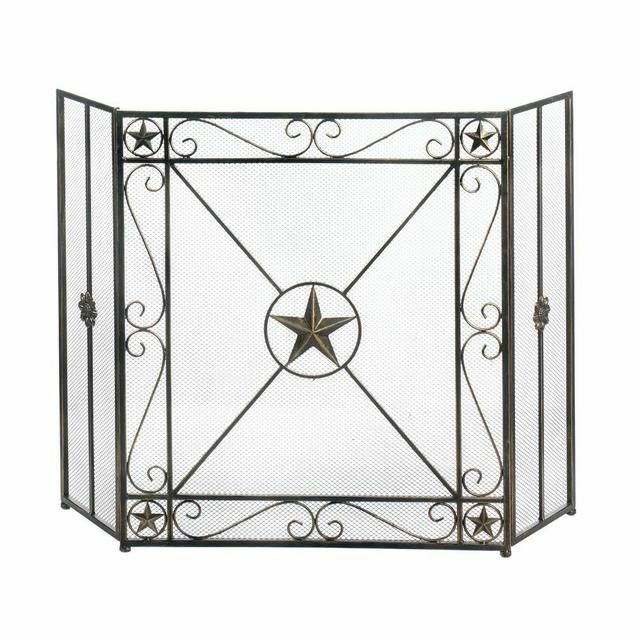 This beautiful iron screen features a three-part design that allows you to fit it to your fireplace, and the front panel features lovely iron scrolls and gorgeous five-point stars. Dimensions: 28" x 10" x 31.8"